ECNS / ISNIP / ISBET Joint Meeting will be honored by Mr. Abdullah Gül, President of The Republic of Turkey. 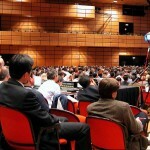 Due to his attendance to the Turkish World Summit, the opening speech will not be done by the President himself. Abdullah Gül was born in Kayseri on October 29, 1950. After he graduated from Kayseri High School, he continued his education at Istanbul University in the Department of Economics. He spent two years in London and Exeter for his academic studies while pursuing his PhD. He received his doctoral degree from Istanbul University in 1983. Gül served in the establishment of the Department of Industrial Engineering at Sakarya University where he taught economics to engineering students for five years. 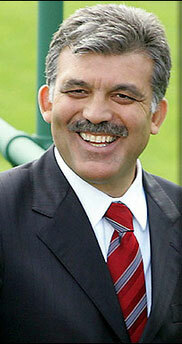 He became an associate professor in international economics in 1989 at Istanbul University.